Samira is a 15 years old girl. 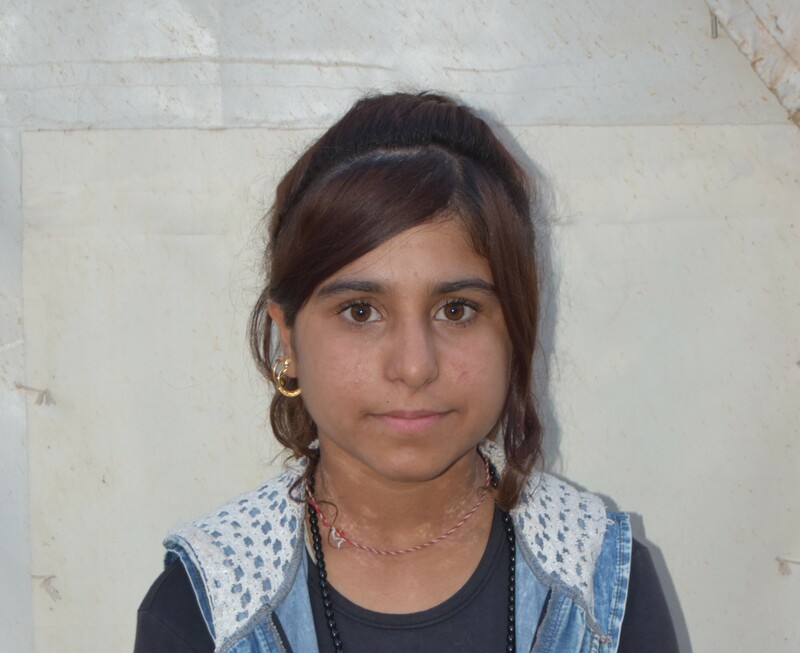 She is one of the many Yezidis who were forced to leave their homes to escape from ISIS violence. For few days she was trapped in Sinjar mountain, while fights were taking place everywhere around. After reaching Kurdistan, an unfinished building became her new home and later she finally moved to a tent in a big refugee camp. Even before these dramatic changes occurred in her life, she was already suffering from a disease which is characterized by patches of skin losing their pigment. After displacement, her condition worsened because her family could not afford any medication for her. Specifically, her father was not able to find a job and had still to take care of 5 children, so he could not provide the therapy necessary to his daughter. Samira’ health condition stigmatized her life. She particularly experienced a lot of bullying from other children, which led her to refuse to visit the school. In order to help Samira to have as a normal life as possible, 2 years ago our organization started to support her. She underwent phototherapy with good results and she started using a special cream, which is expensive and she could have not afforded it without the financial help of private donors. 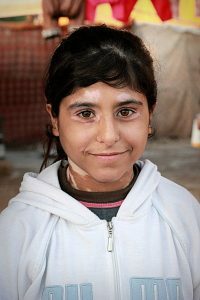 To date, Samira’s family financial situation has improved so they are finally able to cover by themselves the medical expenses necessary to help Samira!